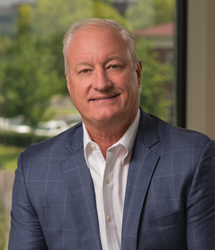 American Physician Partners (APP), a leader in emergency medicine and hospital medicine practice management services, is pleased to announce that its president and CEO, John Rutledge, has joined the 2019 Class of Nashville Business Journal’s Health Care Awards Winners. We have realized double-digit growth while maintaining a 100 percent client retention rate by staying true to our purpose of exceeding the expectations of our patients, physicians and advanced providers, and our hospital partners. The Health Care Awards honor Nashville’s top business leaders in the healthcare industry—the leaders who help make Music City the nation’s health care capital. This year’s class includes top executives at Nashville’s leading health care companies. Rutledge has spent 35 years in numerous hospital and system leadership roles. He served as COO and President of Province Healthcare from 1996 to 2004. He also served as COO and President of RegionalCare Hospital Partners, a non-urban hospital company founded with a $300 million commitment from Warburg Pincus, which he grew to $700 million in revenue and $93 million in EBITDA. As a system executive having worked with a number of emergency medicine and hospital medicine companies throughout his career, Rutledge founded American Physician Partners in 2015 as a new model in the physician practice management arena. As the company’s President and CEO, Rutledge is responsible for developing and implementing the company’s strategic vision, fostering key organizational and community relationships, and working closely with hospitals and health systems through the business development and client management process. Under his leadership, American Physician Partners has grown to more than 100 hospital contracts today, is one of the fastest-growing healthcare companies in Nashville, and is one of the fastest-growing emergency medicine and hospital medicine management companies in the U.S.
Headquartered in Brentwood, Tennessee, American Physician Partners was founded in 2015 to provide a better alternative to hospitals for their clinical outsourcing needs. Since its inception, the company has grown to more than 100 care sites and has become a recognized leader in the provision of exceptional emergency medicine and hospital medicine management services to hospitals and healthcare systems nationwide. APP has earned a 100 percent client retention rate by remaining true to its purpose of exceeding the expectations of its patients, providers and hospital partners.